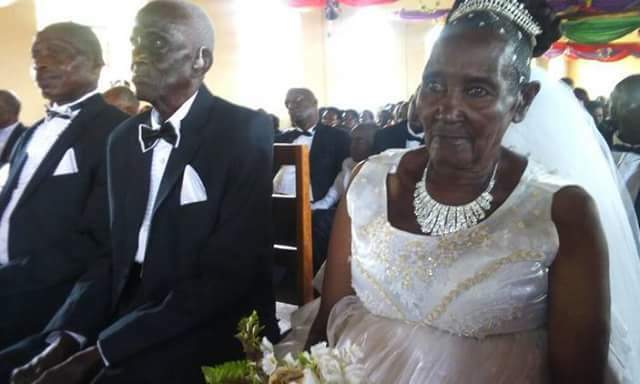 90 year old man, Rwakaikara strolled his bride, 83, down the way in Wednesday, in Uganda. 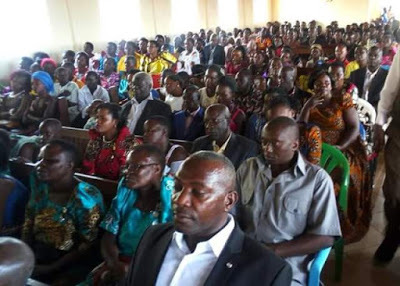 The wedding service was held at St. James Cathedral, Kigorobya, Hoima District & managed by the resigned bishop of Bunyoro Kitara Diocese, Nathan Kyamanywa. 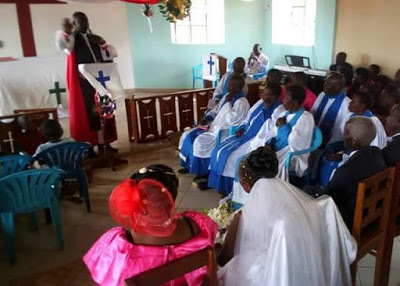 Bishop Kyamanywa told the assembly that it was not very late to take God’s direction, appreciating the couple for persistently sitting tight for their extraordinary day. He said the couple has tested the youthful age to likewise take after the method for God. He said in his peaceful work, he said “I never wedded a couple of this age and this has been a gift to me”.